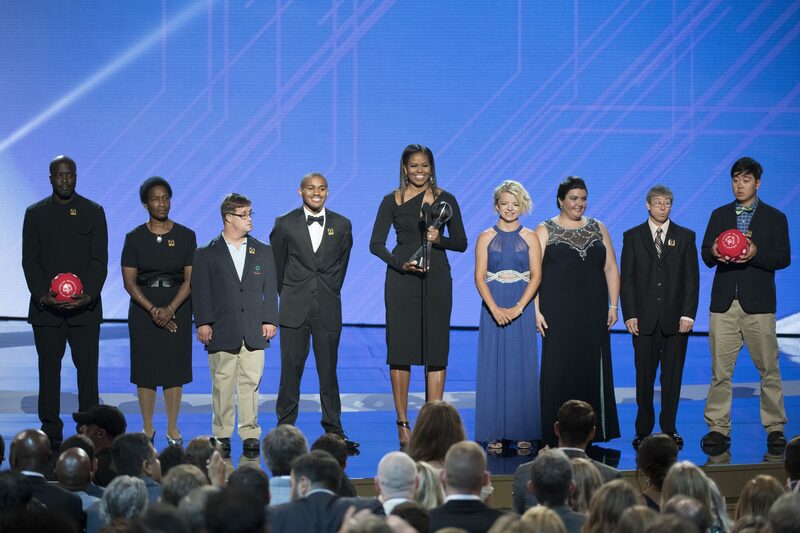 The 25th Annual ESPYS took place at the Microsoft Theatre in Los Angeles last night and Former First Lady Michelle Obama did not come to play! 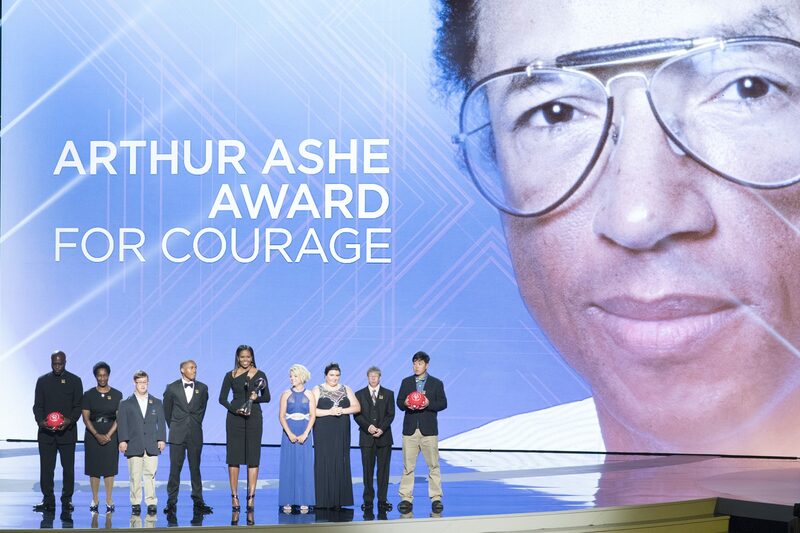 She was in the building to present the Arthur Ashe Courage Award. 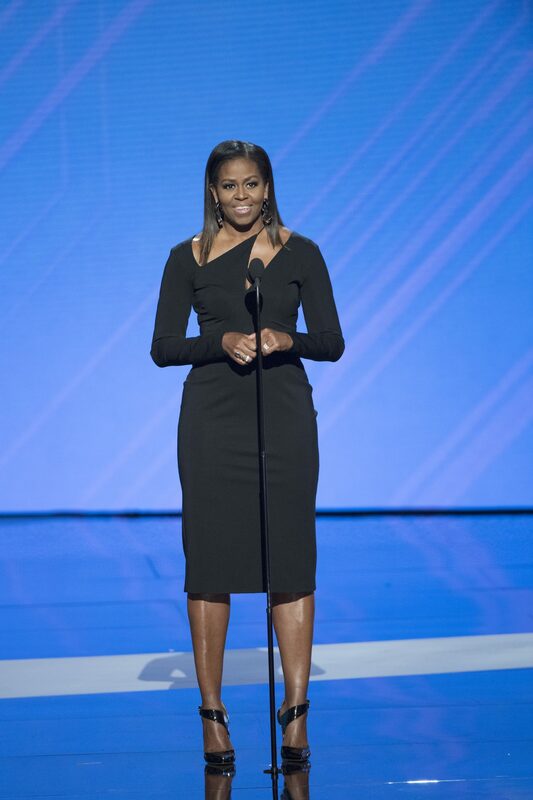 She looked amazing and I really loved her cutout dress! More pics and what she was wearing inside! Boy do I miss the Obamas in office. 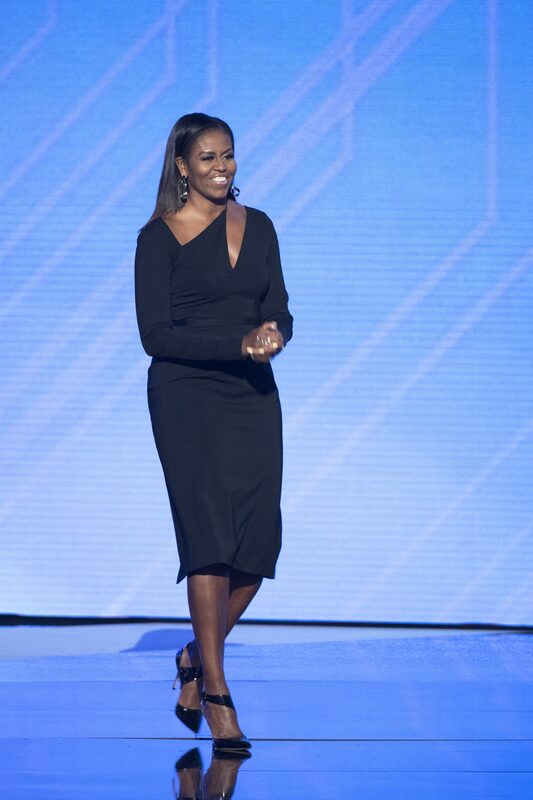 She will always be my First Lady!